2016 is certainly a year of change. 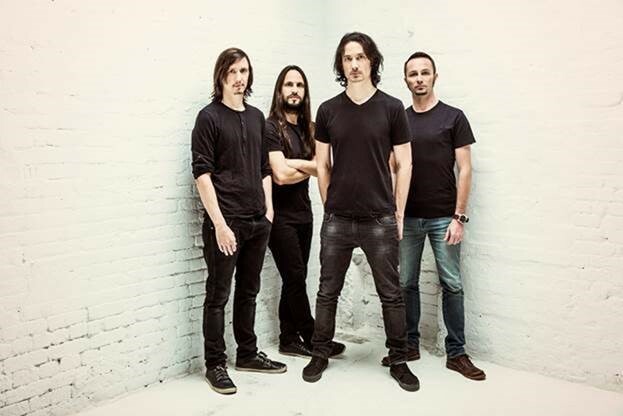 Many established bands have been altering their sound to be less heavy and more radio-friendly, and French metal act Gojira have decided to join that trend as well, or at least half of it. Their six full-length, Magma, is certainly less heavy, although it would certainly be a stretch to call these tunes radio-friendly. A more fitting, if obtuse, term would be monolithic. Magma is a stoner metal comedown dream, a drifting series of tunes that maintain a level of aggression but toy with the concept of metal in the process. Leadoff track “The Shooting Star” enters on a doom-y riff. It’s thick and menacing, but it’s not really “heavy” as most people know it. In fact, this entire song has a feel very similar to recent Grammy winners Ghost: the riff is pounding without being pummeling, and the reverb-drenched vocals sound like a disembodied choir when the tracks are layered. It’s a noticeable difference from their previous work, but held on its own, it’s an invigorating tune… at least for the first half. At nearly six minutes, the low-tempo slog never changes pace or throws any surprises in. Cut in half, “The Shooting Star” would be great, but feels overlong as-is. Follow-up “Silvera” wakes you back up from the meandering end of “The Shooting Star,” with a killer intro riff, creative lead runs, and more aggressive vocals – although they never do reach the raspy snarl of early Gojira. Third track “The Cell” is a definite standout, featuring a speed metal riff and intentionally off-beat drumming. It’s off-putting but attention-grabbing, and then the verse riff slams in, a monotonous whammy-dive drone that is easily the most moshable riff of the album. To top it off, the chorus is downright catchy. “The Cell” could get Gojira some airplay on stations friendly to acts like Mudvayne or Deftones. Lead single “Stranded” relies on alternating staccato chugs and a chiming lead phrase that would feel right at home on a Rob Zombie song. The chorus stretches to almost power metal territory, and will definitely get fists pumping live. The Sabbath flavored interlude “Yellow Stone” lead into the title track, the most adventurous tune here and also, sadly, the least effective. It manages to evolve over its 6-minute length, unlike “The Shooting Star,” but none of the individual movements are particularly good. The middle stretch approximates Mastodon for a while, but the minimal early verses are dull, and even after the transition into heavier territory, the song doesn’t really go anywhere. “Pray” is much better, with a slow steady build into a riff that features almost Morse code bursts of rapid chugs. The verses are odd, with the vocals once again layered and filtered through reverb, sounding almost like a monk’s chant. The chorus amps up the energy and goes straight for the throat, and the badass groove they lock in around four minutes is worthy of special mention. “Only Pain” dabbles with a little bit of KoRn’s sound (even the vocals sound indebted to Jonathan Davis), but fizzles around halfway through when it transitions into a slower, sadder song than expected. Final track “Low Lands fails to get things moving again, becoming along overlong, drone. It explodes a bit near the end, but it’s too little too late. ” There is an outro after called “Liberation,” but it’s mostly lightly strummed acoustic chords and tribal hand drums with no real structure. Gojira have always had a knack for taking the groove from stoner metal and transplanting it into more aggressive, traditional metal. On Magma, they branch out and dabble, taking elements from other popular bands and molding it in their own image. They don’t do a bad job, by any means, but all the best moments on Magma are trademark Gojira. I’d rather hear a failed experiment than safe repetition, and Magma is nowhere close to a complete failure – “The Cell” and “Pray” are two of the best songs they’ve ever written – but it’s also not up to their standards.